From the company that revolutionized the way we keep tabs on friends and co-workers, Facebook may impress everyone once again this week as rumors circulate about the social media giant preparing to file for its initial public offering in the next few days. 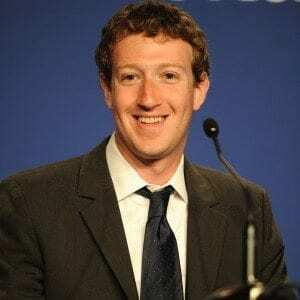 Facebook’s IPO, which is assumed to roll out in the second quarter of 2012, is speculated to raise as much as $10 billion, valuing the company between $75 billion to $100 billion, according to the Washington Post, an impressive feat for a company that started out in a dorm room at Harvard. The website, which launched in February of 2004 and has overtaken all other social media websites, now has more than 800 million active users and is continuously growing. The release of its IPO though may present new challenges for CEO and founder Mark Zuberberg. With any company that evolves from a lowly startup and goes public, concerns of keeping incentives and rewards for employees who will become overnight millionaires due to their past contributions to the company’s current success and the enormous value of the stocks they currently hold arise. Though, Zuckerberg has taken an active defense, bringing in executives like Sheryl Sandberg from Google and Ted Ulloyt from AOL Time Warner to oversee the companies current growth without losing Facebook’s startup vibe. However, Zuckerberg, in an interview recently, spoke of concerns of keeping the company in Silicon Valley, noting that if need be he would restart the company in Boston. To read more about Facebook’s pending IPO click here.